It is important to be aware of the quality of food that you're feeding to a pet. Dog foods can have ingredients that dogs shouldn't eat, so you should check out this review of Acana dog food. 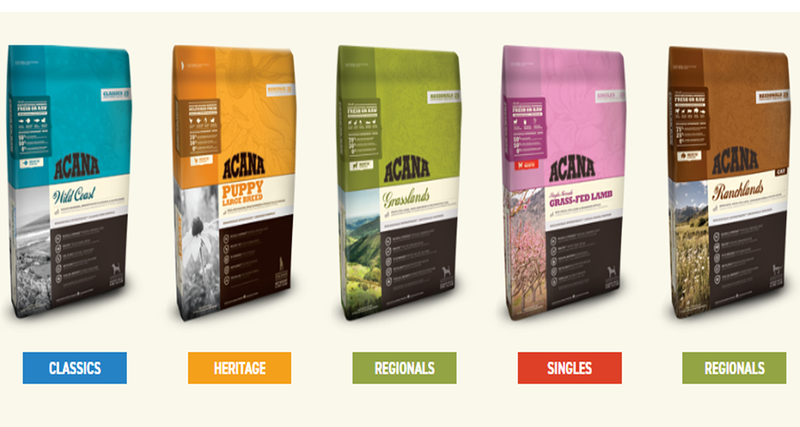 What are Acana Dog Foods and What Goes into It? 4 What Are Acana Dog Foods And What Goes Into It? Dog owners, do you know what goes into your dogs’ dry kibble or wet food? Even if you read the labels to the feed that you give them, you may not know what the terms mean. However, there are many brands of pet foods that strive for healthier choices. This review of Acana dog food may help you find a better food for your beloved pet. The pet food industry is well-regulated, but some pet foods may contain ingredients that you wouldn’t, and shouldn’t, let your pets consume. Even though these ingredients are deemed “acceptable” by federal and/or state laws, they may not be healthy for your pet. It is important to learn how to read labels for the foods that you buy for your dog, whether it is wet or dry. Like foods that people consume, the ingredients on a label are listed first according to their weight. That is why on most labels the meat that dog foods contain will be listed first. Meat contains about 75% water, so it is heavier than other ingredients in dog foods. If you see meat meals on the label of dog food, don't worry. That means that the water and fat have been removed from the meat, whether it is beef, chicken, lamb or bone, so the protein is more concentrated. Meat meals can contain byproducts like blood, brains, heart, tongue, esophagus and many other parts. These ingredients are safe for dogs to consume. Byproducts like hooves, teeth, horns, and hair are not allowed to be processed and included in dog foods. Some byproducts may come from animals that have already died before they get to the slaughterhouse and can end up in pet foods. They may also contain grease and food waste from restaurants and grocery stores. The Food and Drug Administration, who is responsible for federal pet food regulations, ban some cattle and buffalo parts that were previously okay to put in pet foods. Banning them is an attempt to keep mad cow disease from spreading. They ban any parts from cows or buffalo since they are bovines, which have tested positive for bovine spongiform encephalopathy, which is the more formal name for mad cow. They also ban the brains and spines from older bovines because they are at higher risk for the disease. Any preservatives that are put into pet foods are supposed to be placed on the label. However, some manufacturers do not include everything they put in dog foods onto labels. Although some preservatives have been okayed by the FDA, they still may not be safe for your dog to consume. These ingredients keep fats from going bad, so dog foods can be shelved or warehoused longer without being in danger of going rancid. However, there have been complaints about skin rashes, reproductive disorders, cancer, and liver disease from these ingredients, specifically ethoxyquin. After medical issues were found, the FDA gave instructions for the amount of ethoxyquin to be halved in dog foods. Propylene Glycol, which is derived from ethylene glycol or antifreeze. Food dyes like Blue 2, Red 40, Yellow 5 and 6 have caused medical problems in humans like cancer, allergic reactions, and behavior issues. Caramel coloring has been found to carcinogenic to animals. Try to avoid all food dyes in dog foods if possible. Rendered animal fat, which flavors dry foods, can be a source for organisms like Salmonella and toxic heavy metals. Dog foods can also contain a certain level of contaminants, which can consist of harmful substances like phenobarbital, which is used to euthanize animals and human food that has been contaminated with excrement from rodents, birds, and roaches. Many pet food manufacturers also cook their feeds at high temperatures, which renders many of the nutrients useless. So, even if they don't contain harmful ingredients, some dog foods may not be as nutritious as claimed if they have been cooked using high heat. To better understand the ingredients in dog foods, read this information to educate yourself about what you should be feeding man’s best friend. Acana dog foods are made in the United States and Canada. They make dry dogs and advertise them as being made from fresh regional ingredients that are “biologically appropriate” for dogs. Dogs are omnivores, which means they eat both plants and animals, so, having vegetables and fruits in dog food is fine. Dogs need protein to help maintain their muscles and energy, and Acana makes most of its dog foods with 50% to 70% meat depending on their food line. For instance, the “Singles,” that are dog foods made from a single animal protein, contain 50% meat. These proteins may come from lamb, fish, duck or pork. Their “Heritage,” line of dry foods contain 60% meat from sources like turkey, chicken, fish, and eggs. These foods are meant for puppies and younger dogs to eat, so their proteins are easier for younger dogs to digest. The “Regionals” line is made with 70% protein and ingredients like fish caught in the New England area; turkey, chicken, and eggs from the Meadowlands of Kentucky. Their grasslands dog food contains duck, lamb, and trout from Kentucky, and the Appalachian ranch food has bison, Angus beef, catfish, pork, and lamb. The fish they use is freshwater or wild-caught if they are saltwater fish, they use eggs laid in nests, turkey and chickens that are free-range and other proteins raised in be as healthy as possible. They say the proteins are “whole prey,” which means the meat, organs, and cartilage is used in their dog foods. Their foods may also contain fruits and vegetables so that your dog gets a complete diet. Most dog foods do not place emphasis on their ingredients unless they use organically grown produce and fed livestock. While Acana doesn’t promote their ingredients as organic, they do promote the animals their proteins come from as being grass-fed, wild caught, or free-range. With some of their dry foods containing up to 70% protein, it is often twice the amount that other pet food manufacturers include in their dog foods. Also, the company emphases that all their foods contain 50% dry ingredients and 50% raw or fresh ingredients. The fruits and vegetables they use are fresh or air dried before they arrive at their plant. Also, they are whole grain, which provides the fiber dogs need. Although Acana is considered a specialty brand of dog food, it can be found in most large pet stores and online from pet supply retailers. Since they are a specialty brand, their prices may be slightly higher depending on the size of the bag being bought. The Singles line is available in bag sizes of 4.5, 13 and 25 pounds. They range in price from $19.99 to $74.99, depending on the flavors and the retailer. The Heritage dog food line, which is available in the same size bags, range in price from $16.99 to $65.99. The Regionals dog foods are priced $19.99 to $81.99 and offer the same sizes as the previous lines. If your local pet stores do not carry Acana dog foods, you can go to their website to find who sells them. Otherwise, you can search the internet for where they can be bought from online retailers. You may be able to buy their foods for less when you got to certain online retailers. According to reviewers from websites like Amazon, dogfoodadvisor.com, and dogfood.guru, Acana has a good public reputation. Both Amazon and dogfoodadvisor.com use five-star ratings systems and reviewers, who are have bought this brand for their dogs, give it mostly ratings in the four-star range. Dogfoodadvisor.com gives the Regionals line five stars and the Heritage and Singles lines 4.5 stars. Amazon ratings go as high as 4.6 stars for some flavors; especially those contain more meat like the Regionals line and other flavors around 3.3 to 4 stars. Dogfood.guru has a 10-star rating system, and, with over 230 responses, they gave Acana dog foods 8.5 stars. The rating was based mainly on the favorable meat and grain content in the dry dog foods. However, the repetition of Acana may be tainted a bit because a class action lawsuit was filed in March of 2018. The suit alleges that Champion Pet Foods, who owns Acana, misrepresented their products and didn't completely disclose the number of heavy metals and toxins in their foods. The suit says they contain unacceptable amounts of arsenic, BPA, cadmium, mercury, and lead. However, another site that lists recalls for pet foods, Acana nor Champion Pet Foods is listed as having been recalled in the past several years. The reviews of Acana dry dog foods have mostly favorable rating with consumers, with only the occasional complaint about dogs being allergic or having problems due to it, but those complaints are not common. 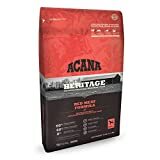 Since Acana is a specialty dog food, they wouldn’t be compared to some of the brands found in most stores, such as Purina Dog Chow, Gravy Train, or Pedigree. Instead, their competition would be brands like Fromm’s, Ziwi, Wellness, and other names with which you may not be familiar if you don’t go to pet stores to buy dog food. A website called woofwhiskers.com lists Acana as one of the best dog foods in the industry and says it has some of the best ingredients out of all other dog foods. However, they also list Ziwi as being the best dog food, but its cost keeps it from being number one on their list. While Acana is listed at $3.24 a pound on their website, Ziwi is listed at $13.37/lb., which is significantly more expensive. However, Ziwi contains more protein, fat, and fewer carbohydrates than Acana dog foods, so the price difference may be worth paying for some dog owners. Fromm’s dog food is one of those that the site likes the best because of its value and the fact that there are no preservatives added to it. For dog owners on a budget, this dry food, made by a family-owned business, is only $1.52/lb. Wellness dog food, especially their CORE Selection line, is high protein and it doesn’t contain grains. Like Acana, they have different specialty lines from which to choose. As far as pricing, it is listed at $2.31/lb. The company has started a recycling program for dog food bags and donates dog food to communities where it is needed. Based on their ingredients, their attention to using high-quality meats and plant foods, and favorable ratings, dog owners should try feeding their pets with Acana dog foods. 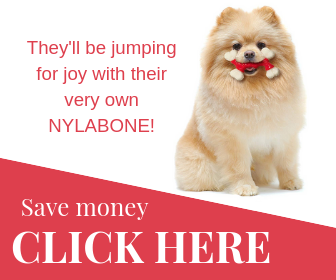 Their price is a little higher than many specialty brands, but with their high levels of protein and how they source their foods, it appears to be a good quality dog food. Some dogs can be sensitive to different ingredients, but in most of the reviews that we read, there were very few complaints about allergies or bad reactions to the Acana lines. Since they list where their foods can be bought on their website, locating them should not be difficult, and they are also available online. It is important to feed dogs with good ingredients and foods that are high in protein as their muscles and energy levels require it. However, since they are omnivores, they can also eat plant foods like fruits and vegetables to maintain their overall health. 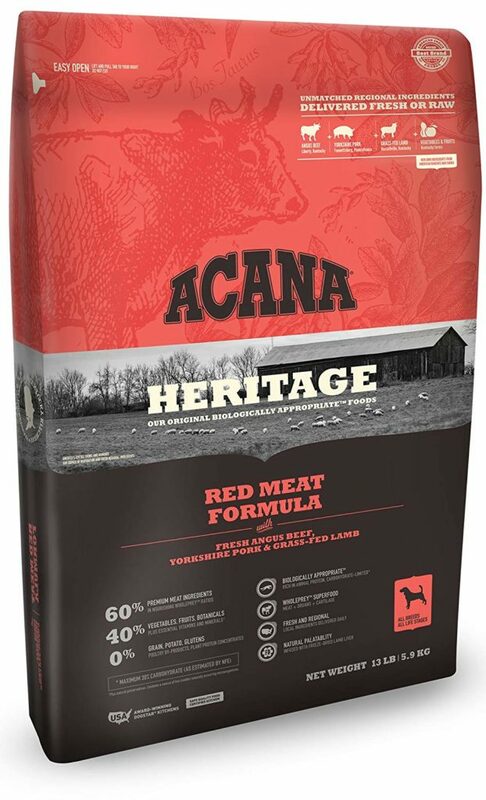 Quality of the ingredients is important, and this review found that quality ingredients are a high priority for the manufacturer of Acana dog food.